Transformers news for the Transformers movie. Latest information on Transformers 5 The Last Knight. Also includes archived stories for Age of Extinction, Dark of the Moon, Revenge of the Fallen and Transformers 1. Check it out for filming updates, spy shots, new robot pictures, plot details, new vehicle images, Transformers trailers, and more. Follow Michael Bay, Mark Wahlberg, Shia LaBeouf, Rosie Huntington-Whitely, Megan Fox and more! In an interview with Pure Grain Audio, actor Ricardo Hoyos recalls his time with the filming of Transformers: Bumblebee. Though seen as a minor character named Tripp, his role was originally much bigger with a greater character development arc; prior to leaving it all down on the cutting-room floor. You can read the full and lengthy interview at Pure Grain Audio, with new info on how various scenes were filmed. The Bumblebee movie is already out on DVD, Blu-Ray and digital, and more Bumblebee Movie concept art is being revealed, courtesy of several artists who have shared great material via their official websites or social media. Bumblebee, Shatter, Dropkick, and Optimus Prime By Luis Guggenberger – Some designs for specific close up areas like head, face, shoulders, chest, boots, etc. Decepticon Warrior By Joshua Viers – A very early idea for another Decepticon warrior. From the looks of it, he seems to transform into a jet and he has got 4 arms. Cybertron By Brett Northcutt – The final design of Cybertron and its surface as seen in the movie. According to Mr. Northcutt, all very much based on the original G1 cartoon. Thanks to all our 2005 Boards members who shared the images in our forums. You can also check out our previous round ups Part 1, Part 2, Part 3, Part 4, Part 5 and Part 6. Click on the bar to see all the images after the jump and then surf to the respective threads to sound off on the 2005 Boards! Speaking to The Hollywood Reporter and Variety during the premiere of Laika’s latest movie; The Missing Link, director Travis Knight expressed his interest to direct another Transformers Live Action Movie. You can find the full interview at THR and check out a short video, after the jump. The official Japanese Bumblebee Movie Twitter has uploaded the third promotional Bumblebee Anime Clip. This seems to be the final part of the “chibi-style story” featuring Charlie and her dog Conan together with Bumblebee. This time, Bee learns how to cook, and he seems to break something more than eggs in the process. Troubles, an angry dog, military and some action on this hilarious clip. We are sure your will enjoy this video, even if it’s only in Japanese. We also have posted part 1 and part 2. Check the new video below and some screencaps after the jump! Then sound off on the 2005 Boards! 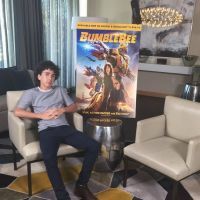 Sitting down with Moviefone for an interview, director Travis Knight explains how Transformers: Bumblebee, which started off as a prequel, ended up with reboot elements; contradicting previous Transformers movies. “Moviefone: What about the mythology the “Transformers” films had already established? This is the first time Bumblebee has been on earth and just one movie earlier we saw him killing Nazis in World War II. What was your thinking behind wiping the slate clean? Travis Knight: Continuity is very important to me, as is being consistent. And so I did take a good hard look at the films that had been done in the past. And as we were thinking about this movie, I still wanted to move to be self-contained. I didn’t presuppose any familiarity with the films or the franchise. I wanted someone who wouldn’t know anything about the Transformers to be able to sit in the theater to watch this movie and have a good time and enjoy the movie, not knowing anything about the transformers. But that said, it was important to me that if we were living within this universe and this mythology that it be consistent. At some point we realized that we were essentially boxing ourselves into a corner — that we were, we were making choices that weren’t really in the best interest of the film if we were trying to kind of sit within the overall mythology of the franchise. Mr. Knight had to do what he thought was the best move to go forward, even if it meant rebooting certain elements. How it will impact future movies is up in the air right now. Perhaps, this discussion may go on until the next movie. But for the time being, it’s all up to viewers to decide where the movie will fit in. With this interview, now you know… and knowing is half the battle. Artist Shane Baxley has been very active sharing cool concept art made for the Bumblebee movie. 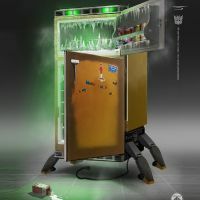 This week he treats us with some cool and fun Appliance-bots Concept Art. Via Shane Baxley’s Instagram account, we have a look at a dishwasher, a refrigerator and a broken coffee maker, all three in kind of monstrous robot modes. These were revealed recently as part of a fun deleted scene. This scene takes places shortly after Bumblebee messes with electricity when he is alone at home. We can see that several kitchen appliances have come to life to wreak havoc on Charlie’s house. Click on the bar to see the mirrored images on this news post and then sound off on the 2005 Boards! 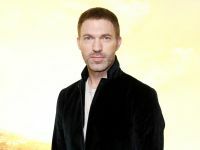 Director Travis Knight sat down with ComicBook.com to explain why Charlie Watson and Bumblebee had to part ways. It is clear that he has put a lot of thought and effort into that particular scene which is actually more than meets the eye. It was more than just a simple ‘goodbye’. “[The movie] had a beginning, it had a middle and an end and it had proper resolution. And so as I was charting the relationship between these two character there was no other way for it to end. It had to end with them parting. It’s about one of those relationships, one of those life changing relationships that where someone comes into your orbit and fundamentally changes your trajectory moving forward. And it was, he has his mission to do and he has to go do it and she has her life and she has to live and she has to go live it. And they change each others lives, but then they had to part and that was the story that I was telling. Though they went their separate ways, the director thinks that a future movie, with a right script, can bring them back together. Speaking to Slash Film this week, producer Lorenzo di Bonaventura stated that they are not working on a sequel to Transformers: The Last Knight. He also mentioned that director Michael Bay will not return to the director’s chair for the franchise. The official Japanese Bumblebee Movie Twitter has uploaded a new fun promotional Bumblebee Anime Clip. The first video was shared in March all in cute “chibi” style. This is the second part of the “story”, featuring Charlie and her dog Conan together with Bumblebee at a park trying to teach Bumblebee the meaning of “Robot In Disguise” with not so great results. We are sure your will enjoy this video, even if it’s only in Japanese. Check it out below and some screencaps after the jump! Then sound off on the 2005 Boards! CBM: I saw that you’re 13, which means you were very young when the first trilogy of Transformers films came out. Were you a fan of the franchise growing up or are they films you discovered more recently? Drucker: No, no. I was a fan growing up. I remember playing with Transformers toys since I was like 3 or something and had them for a while. Then, I remember learning about the cartoons and tv shows and the movies also, which I did end up watching. Unfortunately, I didn’t get to grow up watching the original films from the ‘80s, but I was definitely a fan before I got this role. CBM: You don’t get much face time with Bumblebee, but you do have a pretty sweet action scene with the car chase. I’m sure there were stunt drivers involved, but how cool was that for you to film? I’m assuming you were in one of the cars at some point. Drucker: Yeah, I was. I was in there, but unfortunately, I didn’t really get to go driving around in the car. It was shot in front of a huge blue screen with the shell of a car hooked up to this big machine that was programmed to shake around and stuff to make it look like it was a real chase. It was still really cool and nothing I’d ever experienced before. That was a joy. Read the entire interview here, enter to win a Bumblebee Prize Pack from TFW2005 & Paramount here, then sound off on the 2005 boards!